Doal offers an excellent service for the design of aluminium systems, including aluminium profiles or custom-designed doors. Choosing profiles for furniture and doors in a material such as aluminium means opting for light, resistant and sustainable elements. Let's not forget that aluminium can be reused indefinitely, while maintaining its technical and mechanical characteristics. Among the various aluminium profiles that Doal proposes there are also aluminium skirting boards, in fact this kind of skirting board allows you to give an absolutely original touch to your environment, always referring functional thanks to the skirting boards with cable glands. Doal, which designs aluminium systems, supplies standard profiles and doors or according to the customer's drawing. Our care for the smallest details and for the processing of aluminium has been certified ISO 9001:2008 which is in our possession since 2006. Doal's technical department is able to satisfy every request by designing the individual components based on a drawing by the architect or the applicant company. Doal's aluminium profiles are sold in bars and installation components, or in custom cut parts. With its flagship product, Doal meets the needs of designers and designers in the case of new projects or ideas to be developed for which aluminium extrusions can be an interesting solution or alternative. Doal tries to fully interpret all the needs that the market requires, dedicating a lot of resources, constant commitment and creativity to it. In fact, it tries to make the most of all the characteristics of aluminium by carrying out research and development that become strategic activities in the production process, fundamental for the progress of a modern company and to provide the best aluminium systems on the market. Aluminium systems are the result of market research that we have done in combination with the in-depth study of the different materials and associated technologies. Cutting-edge products require adequate equipment. The latest generation of DOAL design allow us to reach and maintain high and constant quality levels. Numerically controlled machining operations guarantee good precision in all phases of the production cycle. The constant updating of software and hardware facilitates the introduction of particular and increasingly driven machining operations. Very often aluminium systems act as a load-bearing structure that serves to be clad with panels, glass, high teach materials according to the project conceived. Extruded profiles are in fact the protagonists of aluminium systems. They are combined with other materials such as zamak, glass and plastic to guarantee excellent results. Depending on their use, these systems can become highly technical rather than elegant or practical. Some examples of aluminium profiles that Doal designs are the minimum to know what we are talking about. These are just some of the many possibilities the company offers. 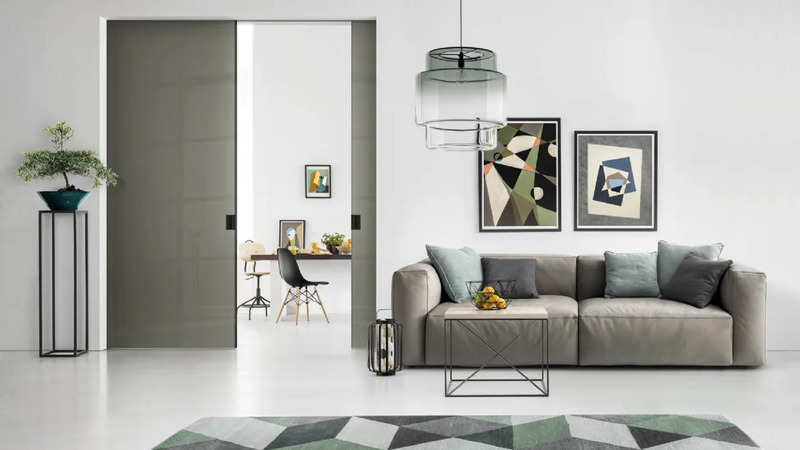 And includes a wide range of Aluminium Profiles for furniture made to meet every need, in fact they can also be produced to measure, see some examples in the article. Simply Aluminium uprights for interior furnishings will allow you to create elegant and flexible structures to use as bookcases, wall units, walk-in closets and much more being fully adjustable.